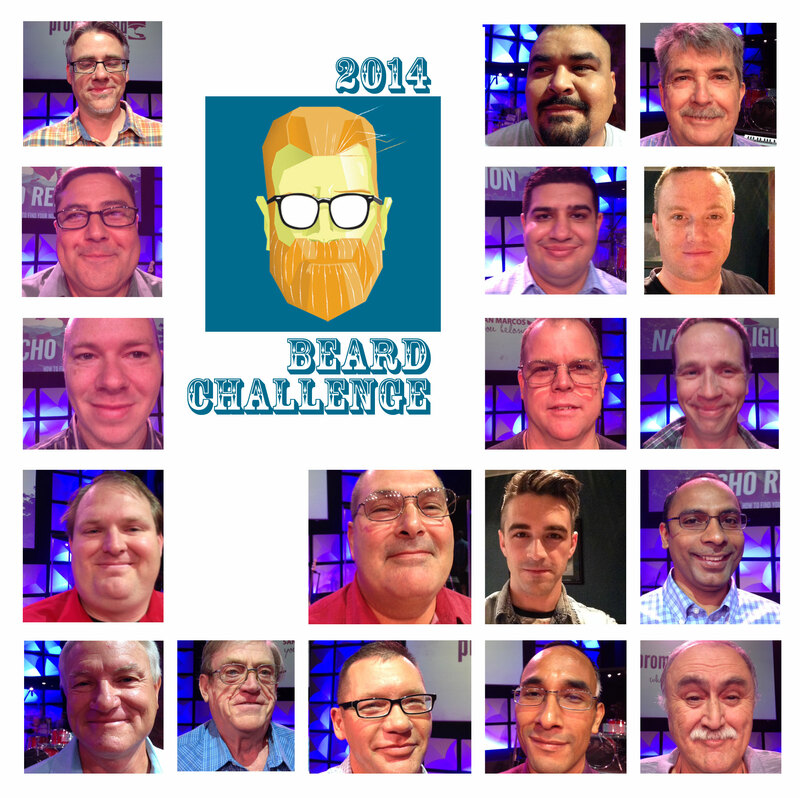 We are wrapping up Man Month (June) with a Beard Challenge. Who can grow the best beard in 7 days? Men came to church clean shaven on June 22. They will return on June 29 with their best facial hair efforts. The winner will take a gift certificate and label of BEST BEARD 2014! If you missed Sunday and want to enter the contest late, then email a picture of yourself clean-shaven to info@psmchurch.com. Here are some of our entrants. May the force be with you, men! Instead of posting my sermon notes today, I decided to post our small group discussion guide. It gives a good picture of the story and how to apply to your everyday life. PROMISEGROUP DISCUSSION GUIDE: WEEK OF MAY 19 – Honorology – Bringing Honor Back! What part of our society is missing honor the most? David was a man of great honor. He honored the man of God, Saul even when Saul hunted David to destroy him. He told his men to never touch Saul. But David lost his honor when we found comfort in the palace. He found himself lost in the maze of adultery. Sin had crept into David’s life and when that happened, honor was the first to leave. When he found out that his lover, Bathsheba, was pregnant, he sent for her husband Uriah. Ironically, it would be Uriah that brought honor back to the palace. 2 Samuel 11:6 And David sent to Joab, saying, Send me Uriah the Hittite. And Joab sent Uriah to David. 7 And when Uriah was come unto him, David demanded of him how Joab did, and how the people did, and how the war prospered. 8 And David said to Uriah, Go down to thy house, and wash thy feet. And Uriah departed out of the king’s house, and there followed him a mess of meat from the king. 9 But Uriah slept at the door of the king’s house with all the servants of his lord, and went not down to his house. 10 And when they had told David, saying, Uriah went not down unto his house, David said unto Uriah, Camest thou not from thy journey? why then didst thou not go down unto thine house? 11 And Uriah said unto David, The ark, and Israel, and Judah, abide in tents; and my lord Joab, and the servants of my lord, are encamped in the open fields; shall I then go into mine house, to eat and to drink, and to lie with my wife? as thou livest, and as thy soul liveth, I will not do this thing. 12 And David said to Uriah, Tarry here to day also, and to morrow I will let thee depart. So Uriah abode in Jerusalem that day, and the morrow. 13 And when David had called him, he did eat and drink before him; and he made him drunk: and at even he went out to lie on his bed with the servants of his lord, but went not down to his house. 14 And it came to pass in the morning, that David wrote a letter to Joab, and sent it by the hand of Uriah. 15 And he wrote in the letter, saying, Set ye Uriah in the forefront of the hottest battle, and retire ye from him, that he may be smitten, and die. What part of that story is most upsetting to you? Where all does dishonor show up in that passage? What characteristics does Uriah display in this story? How does he honor his God and his country? What pleasures did he sacrifice to display this honor? What ultimately happened to Uriah because of his honor? Because of Uriah’s integrity, honor was brought back to David. His sin was revealed and purity/honor returned to the Kingdom. Compare the act of Uriah and his act of integrity and honor with the life and work of Jesus Christ. How does Jesus’ submission to man (disciples and Romans) pave the way for righteousness to return to Earth? How does our honor or lack of honor display our heart? Explain. How do we bring honor back to the society where we live? How can we mirror Uriah and Jesus in modern times? Is there anyone in your life right now that you need to show your honor to? How can we pray with you today for any of these questions/topics of honor? Jeremy grew up in a family of preachers and cowboys. His life journey has taken him from political consulting to a few years as a bull-riding cowboy. He’s always had a passion to reach his generation with the life-changing message of Jesus Christ. That dream became a reality through the429. After 10 years in ministry together, Jeremy and Jennifer launched the429 in 2010 and God moved in an amazing way. In three short years, the429 experienced a weekly attendance of more than 1,500 and has seen thousands of 20s and 30s come through the doors and receive the complete and life changing love of Jesus Christ. In 2013 alone there were 586 baptisms and 1,027 people gave their lives to Jesus. Jeremy and Jennifer just recently passed the torch and have embarked on a new journey to plant a life-giving church within the next few months. They are currently traveling to share leadership principles, inspire congregations and equip teams for next level leadership. His honest, open and humorous delivery style appeals to people of all ages and backgrounds. They live in the Houston area along with their daughters Jayden, Jeselyn and Jillian Grace. They ride horses every week and pray fervently that God anoints the New Orleans Saints. RELIGIOUS SUPERSTITION strips away the whole concept of relationship. With superstition, God is no longer your father, and you are not his child. Instead, God is a magician. You have to say the right recipe prayer and it will unlock some secret door of heaven and all of the sudden YOU will get what you want. People often read the Bible from a selfish perspective as if the end objective or Goal is about you. As if the story is about you. 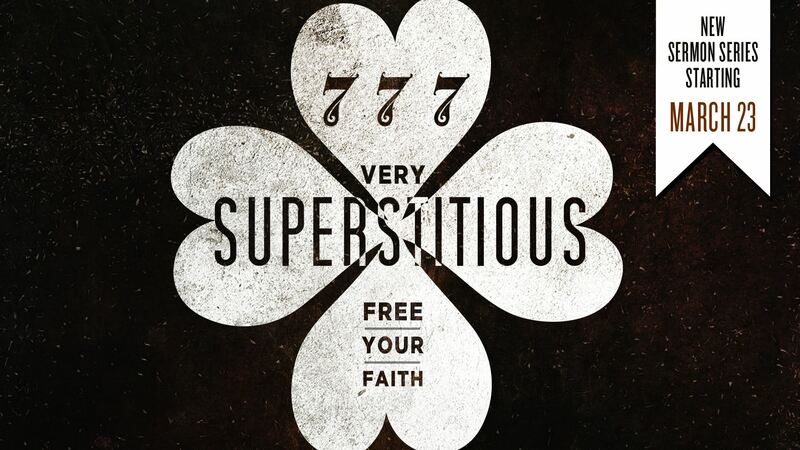 Here are 3 areas that I believe superstition has crept into the church. After I describe them, I will give my thoughts on the truth of the Gospel. Click here to hear my sermon on the topic. People that believe this statement have taken a few scriptures and turned them into a superstitious ritual of getting what YOU want out of life. Just a quick question before we go any further: If everything that comes out of your mouth is immediately becoming fact, then who is God? You. Whatever God speaks happens. Therefore, if whatever you speaks happens then you are God. I have baptized hundreds of people. Strangers. Friends. Family. However, until this past Sunday I had never baptized one of my kids. I baptized 2 of them. Wow! What a special day. The whole service was unique because we were focusing on children. 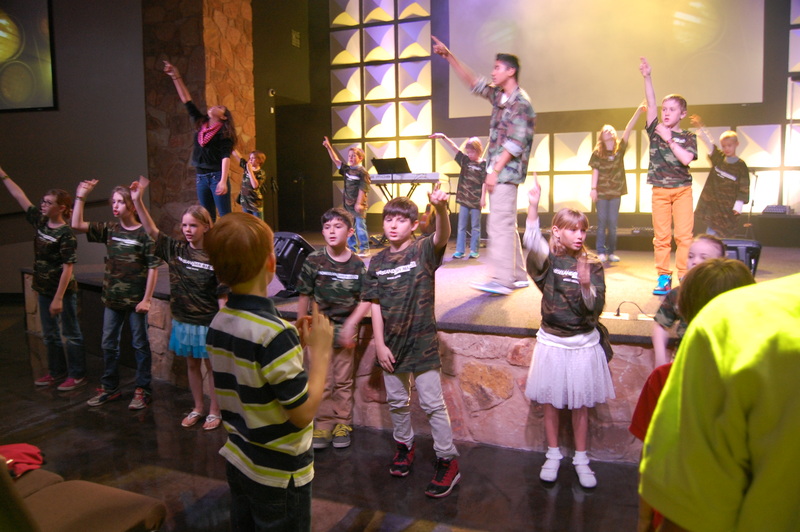 We wanted to show our congregation how important the next generation IS (not will be) and we wanted the adults to remember how important it is to remain like kids. 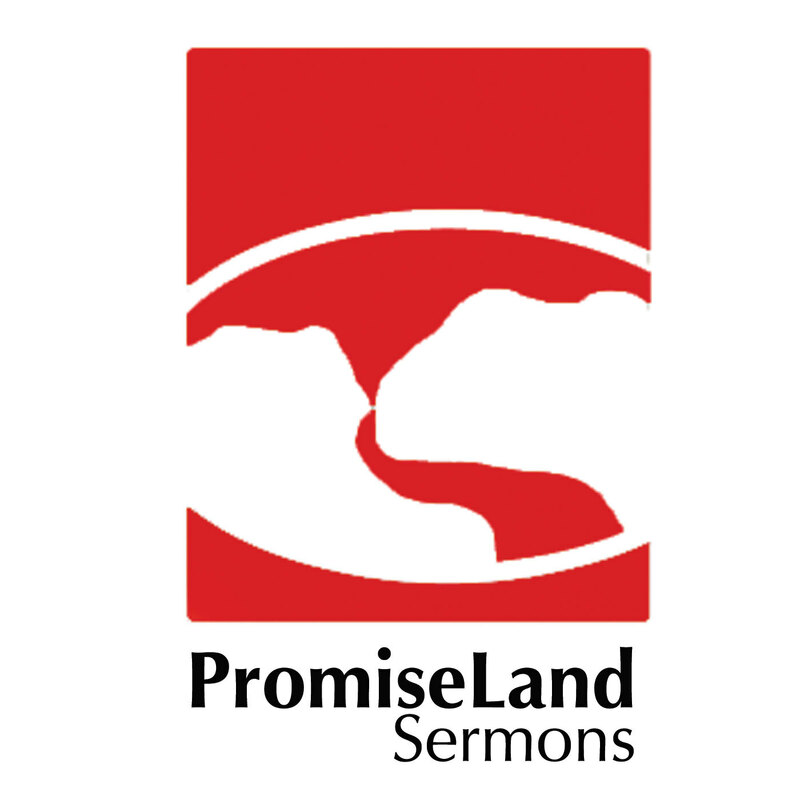 You can check out the sermon notes here. 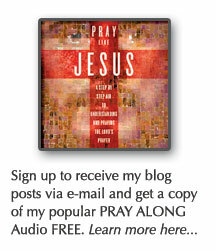 You can listen to the message podcast here. Erica and I have been talking to our boys about baptism for years. Of course, they see tons of people baptized at church every year. They are compelled to talk about it and ask tons of questions. Erica and I have been extremely careful to push the decision later in life. Something in us wanted to make sure the boys were making the decision for themselves and not simply because their friends were or because there was any pressure from mom and dad.